I am SO excited about this homemade ketchup recipe. This homemade ketchup tastes the same as store-bought ketchup but has WAY less sugar. Considering my son has been known to lick the ketchup off of his plate, lower sugar is a good thing. It’s funny, my son doesn’t like tomatoes but he LOVES ketchup. I know that too much sugar is not good, this is why I made this ketchup with less sugar. 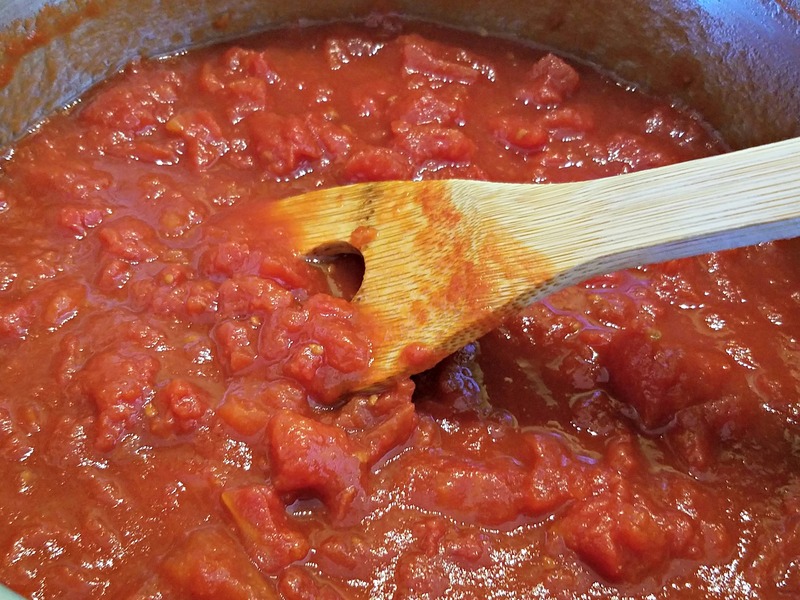 The recipe that I made previously tastes great and uses honey, no sugar, but my family enjoys this recipe a bit more….maybe it’s grandma’s tomatoes, more about that in a bit. This recipe does call for sugar but WAY less than what is in a store-bought bottle. A store-bought bottle of organic ketchup has almost a cup of sugar in it. Non organic has a bunch of high fructose corn syrup. My homemade recipe has half a cup of sugar and makes up to the equivalent of three bottles of store-bought ketchup AND it tastes the same. I say that it tastes the same but I think that it tastes even better than store-bought ketchup! I used to make this homemade ketchup recipe but somehow I returned to purchasing store-bought ketchup, organic but store-bought. I was gifted a case of home-grown canned tomatoes by my 91-year-old grandmother. Yes, 91. 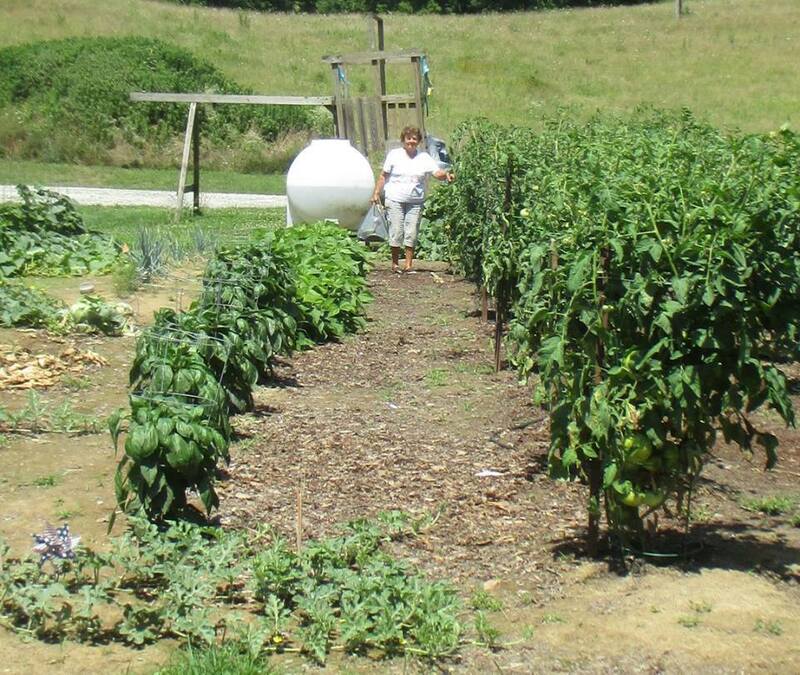 She is amazing and has always grown an amazing garden. I knew that I simply had to turn her garden goodies into a healthier ketchup for my family. I’m sorry to say that I cannot share my grandma’s tomatoes but I can share the recipe that her tomatoes inspired. Making homemade ketchup is easy. With a few simple ingredients and a few hours of simmering you will have a delicious ketchup that contains WAY less sugar than what you can purchase at the store. You can skip this how-to and scroll to the printable recipe at the bottom of the post. First, you need to have tomatoes. 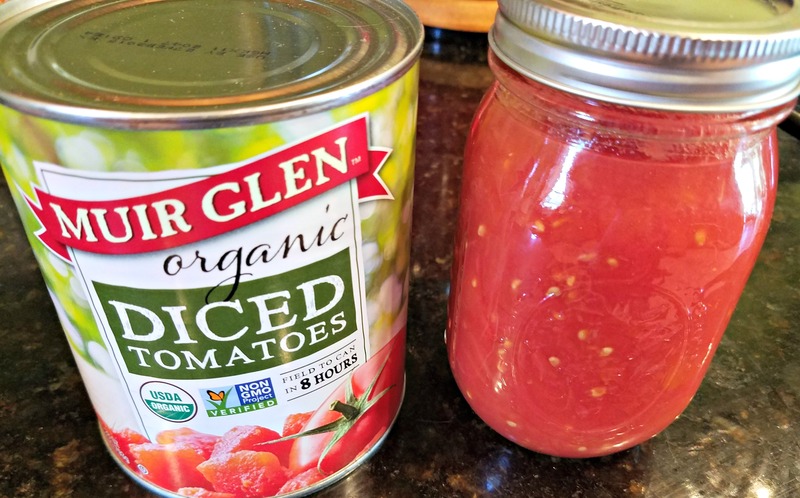 If you don’t have access to homegrown tomatoes you can use a quality canned tomato, such as this brand. Next, you toss your tomatoes, water, sugar, distilled white vinegar, onion powder, garlic powder, salt, celery salt, mustard powder, black pepper, and a clove into a sauce pan. Bring the mixture just to a boil then reduce heat and simmer, stirring often, until the mixture is reduced almost in half. This takes a few hours, at least two. How long you let it cook is up to how thick you like your ketchup. We like ours thick so I usually let it go nearly three hours. The spoon is almost standing on its own at this point! Once your ketchup reaches your desired thickness remove it from the heat and allow it to cool a bit. I use an immersion blender to blend my ketchup to a creamy and thick consistency. I store my ketchup in glass mason jars. I have no need to preserve the jars as the are devoured within weeks, but you could certainly do so! This is an easy to make homemade ketchup that tastes better than the store-bought alternative and has way less sugar! Add ingredients into a saucepan and bring almost to a boil, stirring frequently. Cook for 2-3 hours until the reduced by half, it will be very thick. Smooth the ketchup using an immersion blender. Store in jars & enjoy! 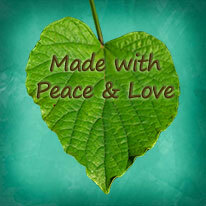 To see more of my real food recipes please click here. Looks so good! If it passes Alex’s taste buds it has to be fantastic!